I'm interested in how information and information resources work, what they are for, what they do and what they tell us about the human condition. In addition, I have a focus on libraries, how they work, how they change, how they have evolved, and what we can learn and adopt from previous practice, blended with new and exciting ideas, to keep libraries of all kinds vital, necessary and important parts of their communities. I teach courses in information sources and services, in search, in research methods and statistics, and on the use of Internet technologies in librarianship. 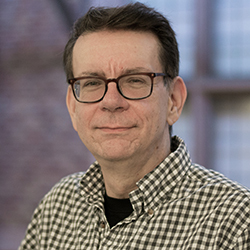 Associate Professor Janes holds the MLS (1983) and PhD (1989) from Syracuse University.